It starts this Friday! So if you’re thinking of going this year, here’s a look at last year. 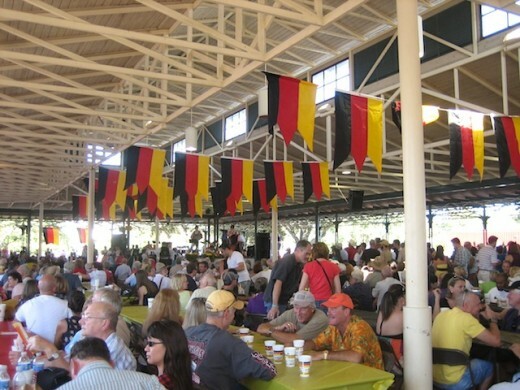 Fantastic weather drew record crowds to this historic German town. 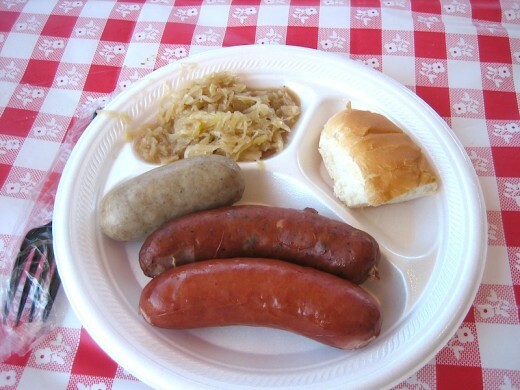 From beer and bratwurst to bungee-jumping and the Chicken Dance, it’s a great time for folks young, old and in-between. 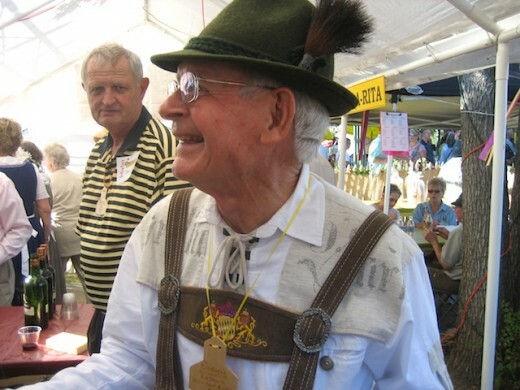 Colorful costumes, whether authentic or silly, and three different halls for music make for a festive atmosphere, as do the 22 German and 30 domestic beers on tap. 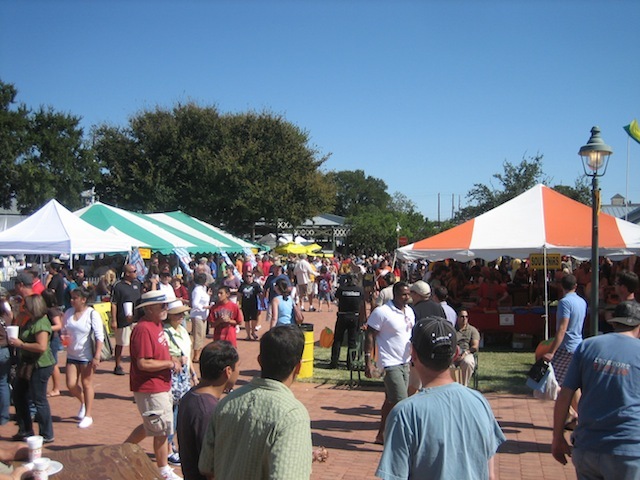 There are arts and crafts on display, souvenirs to buy, and all for a good cause: all proceeds from the fest go to fund arts scholarships for local students. 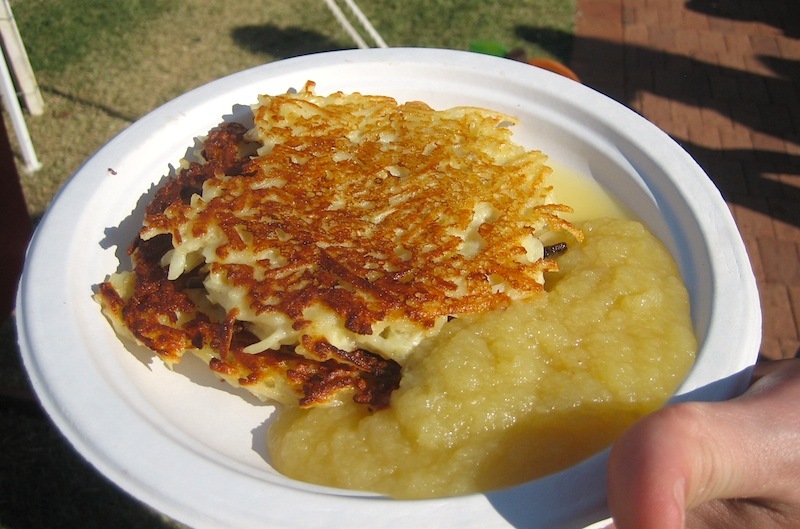 Foods range from authentic German dishes like potato pancakes, wiener schnitzel, wurst and sauerkraut, to classic fair foods like turkey legs, curly fries and funnel cakes. 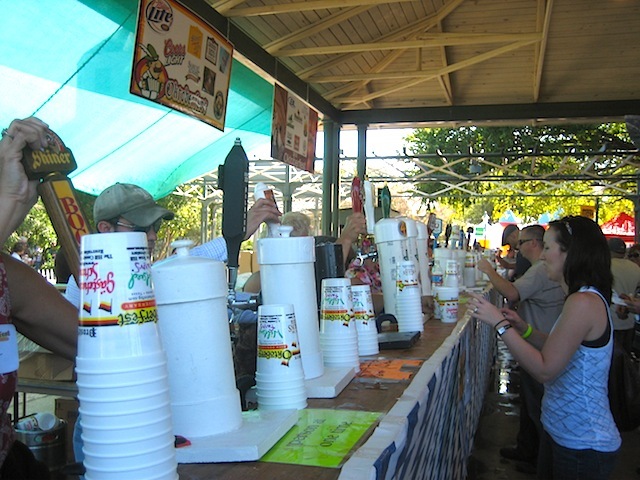 Volunteers pour draft beers as fast as they can. There are 22 German beers, including six different Oktoberfest brews, but notice good ol’ Shiner Bock hanging in there with the big boys. 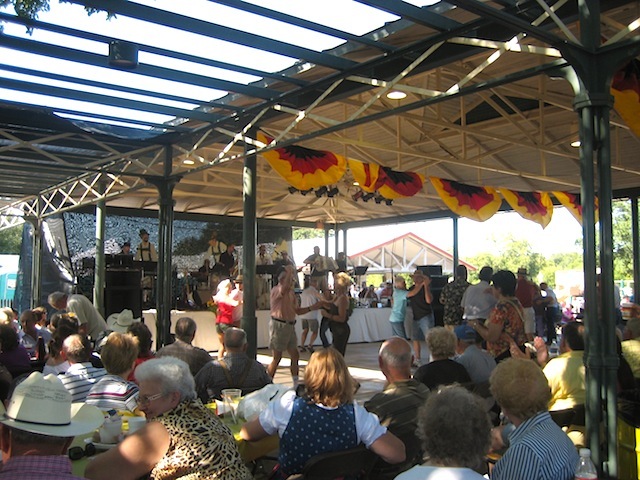 Three different music halls keep the crowd entertained, with music that ranges from polka to oompah to swing. Below, the Ennis Czech Boys get everyone out on the floor for the Chicken Dance. 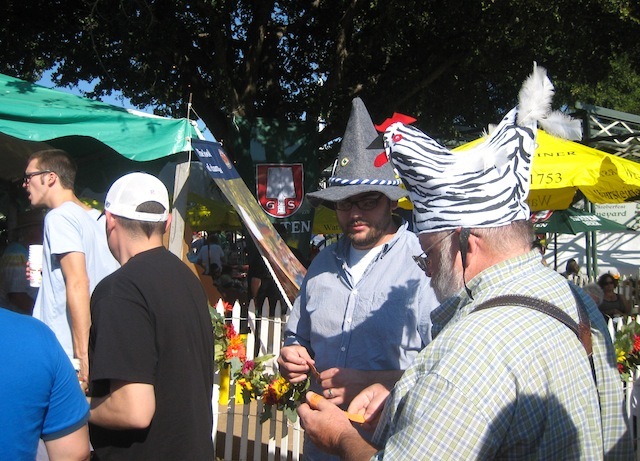 A lot of festival-goers take the opportunity for self-expression, whether with authentic lederhosen and dirndls or just with funny hats. Why should grown-ups have all the fun? 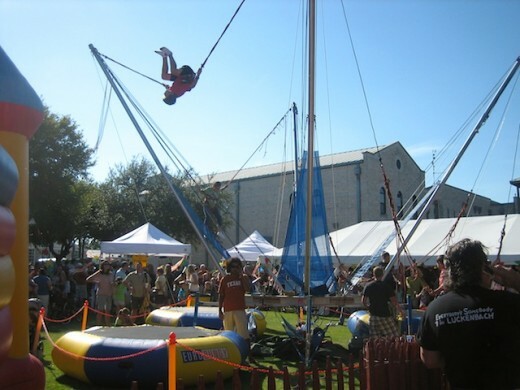 Kinder Park, a separate area for kids, offers a Bouncy Haus, bungee-jumping, games and face-painting. Crowds all over the Marktplatz – all having a great time. 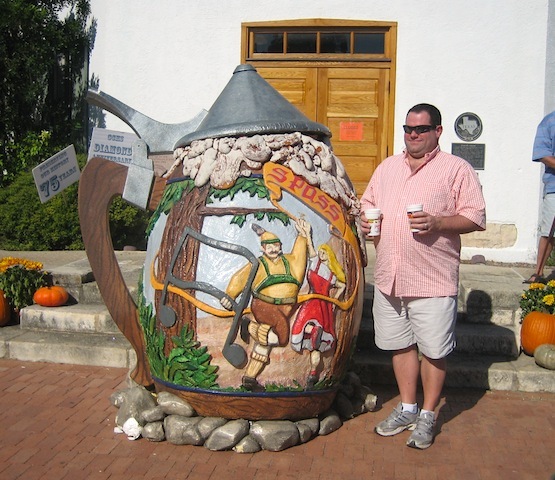 Here’s to this year: Prosit!